The Whangawehi Cathment Management Group has been selected for the Green Ribbon finals that will be held on the 16th of June at Parliament in Wellington. The Green Ribbon Awards is a National Environmental Award (developed by the Ministry for the Environment) that recognises the outstanding contributions of individuals, organisations, businesses and communities to protecting and enhancing New Zealand’s environment. So well done to you all ! It is a wonderful achievement. Pat and Sue O’Brien invited Mike and Sharon Barton to share their journey with the “Taupo Beef” a successful branding initiative developed around the Lake Taupo. Mike and Sharon demonstrated how nutrient caps impact on rural communities and how it was possible to farm within nutrients limits. Nathan Heath from HBRC talked about the New Policy Statement on fresh water and the implications for Wairoa farmers. The event was very well supported by the local community of Mahia, thank you for this great support. Thank you to John Ross for facilitating the evening and HBRC and Beef and Lamb for supporting financially this gathering. 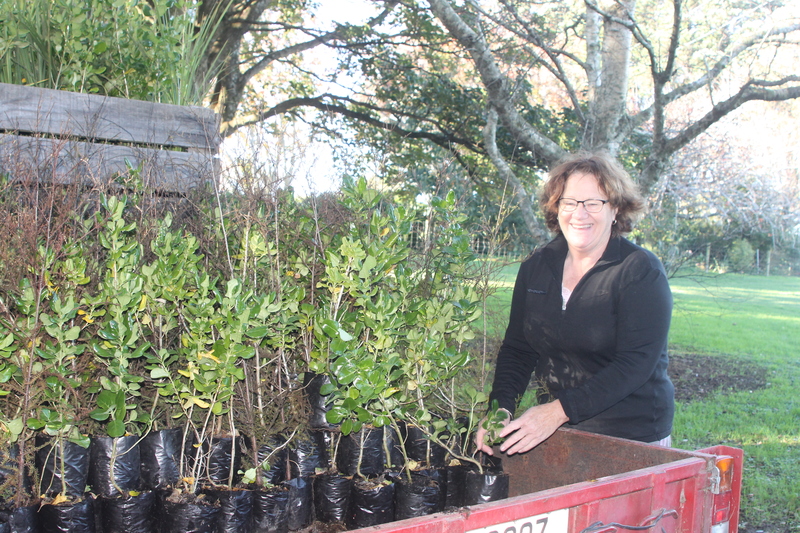 The first trees have arrived today on the Taharoa Trust. Thanks to Nga Whenua Rahui for their ongoing support.